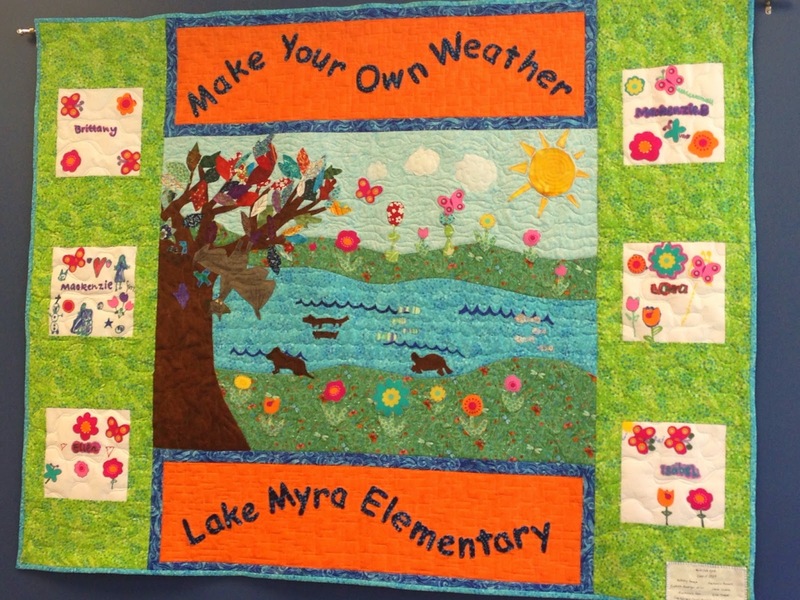 On Friday, May 16th Lake Myra invited community officials, school board members and essential education "movers and shakers" to experience our first Leadership Day where we got to show off our students exhibiting the 7 Habits. 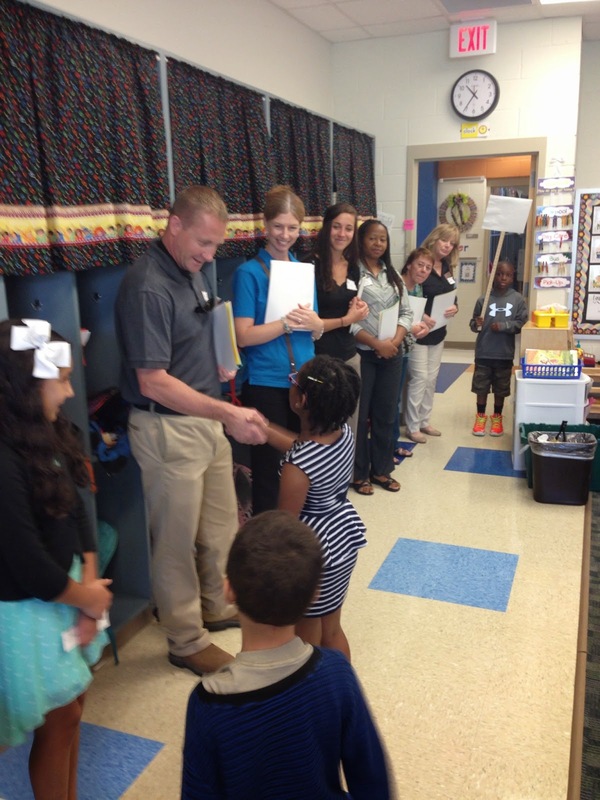 Visitors came to every classroom to experience 7 Habits lessons led by students from kindergarten through fifth grade. We also had a digital gallery of projects that have been occurring at the Lake. 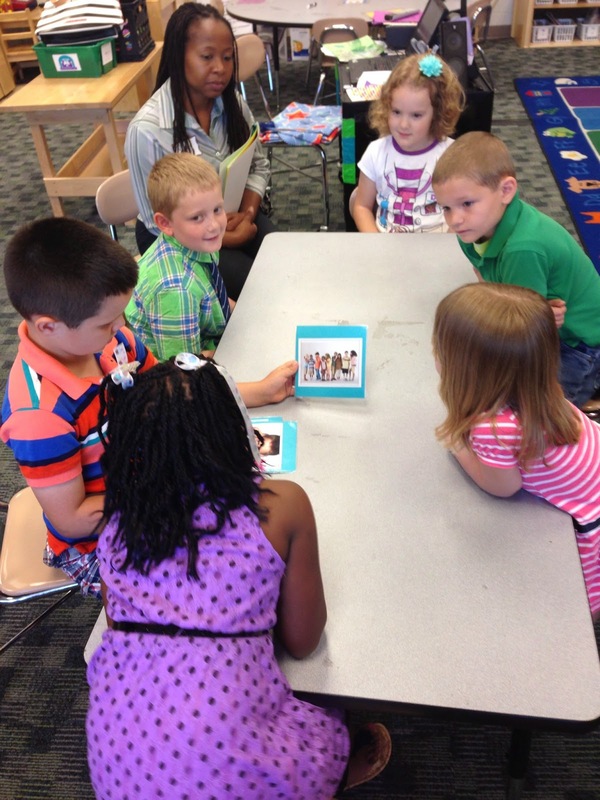 Leadership Club tri-folds were displayed, with student leaders to explain to guests exactly how they have the opportunity to lead, teach and create fun learning experiences that correlate to their individual interests. There were performances by the dance team, cheer club, and by all students K-2. It was a fun filled day that was filled with smiles, compliments and leadership! 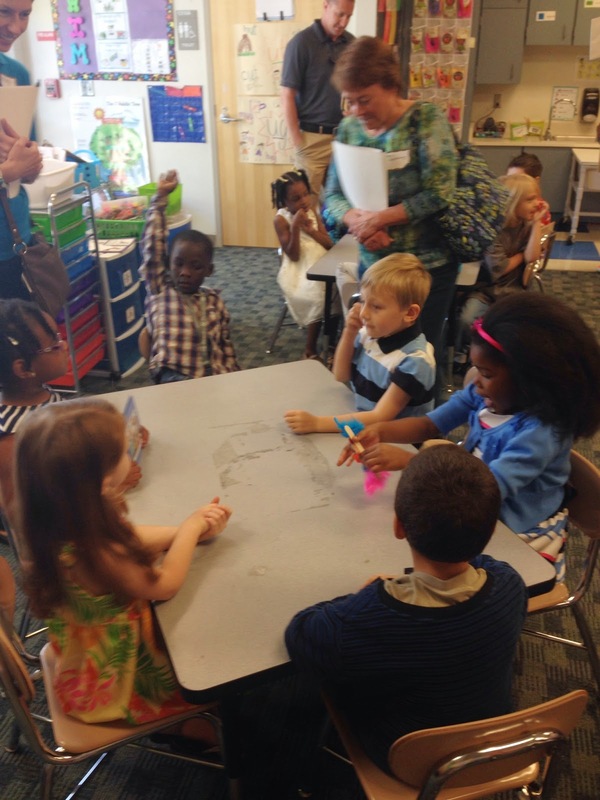 Students from Kindergarten through fifth grade helped create the experience of our visitors! 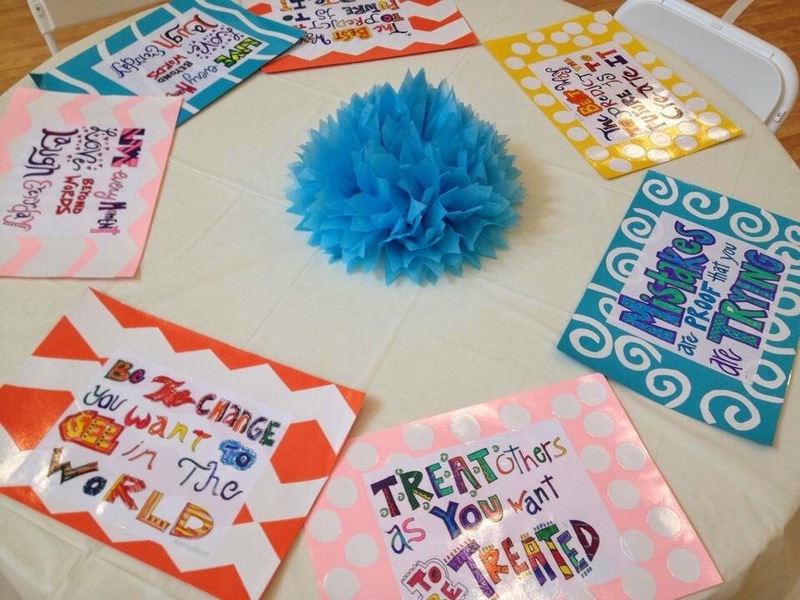 These place mats were created in track out camp by students who were engaging in activities that included giving maximum effort! 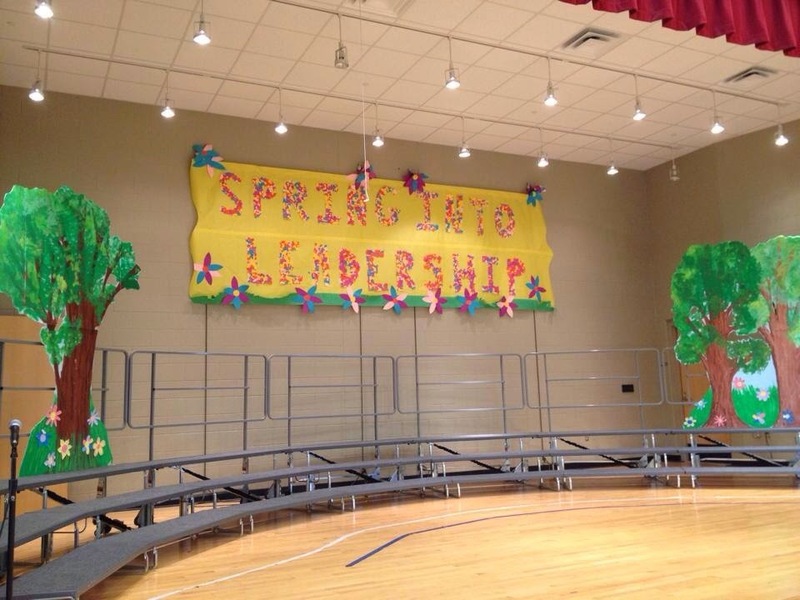 The Spring Into Leadership sign was also created during track out camp by students from third through fifth grade. Students were beginning with the end in mind and wanted to create an experience for our visitors and put effort into making a sign that would decorate our stage. Our student leaders also made huge letters standing for Lake Myra! They are now hanging under a quote written by Ghandi. 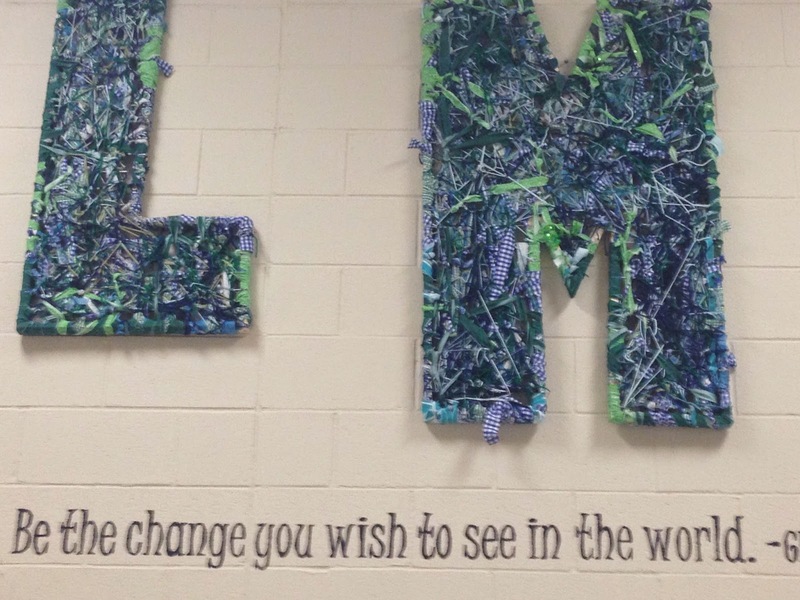 "Be the change, you wish to see in the world"
Another one of the many transformations our school has gone through is painting our 7 Habits tree in the front walkway of our school! 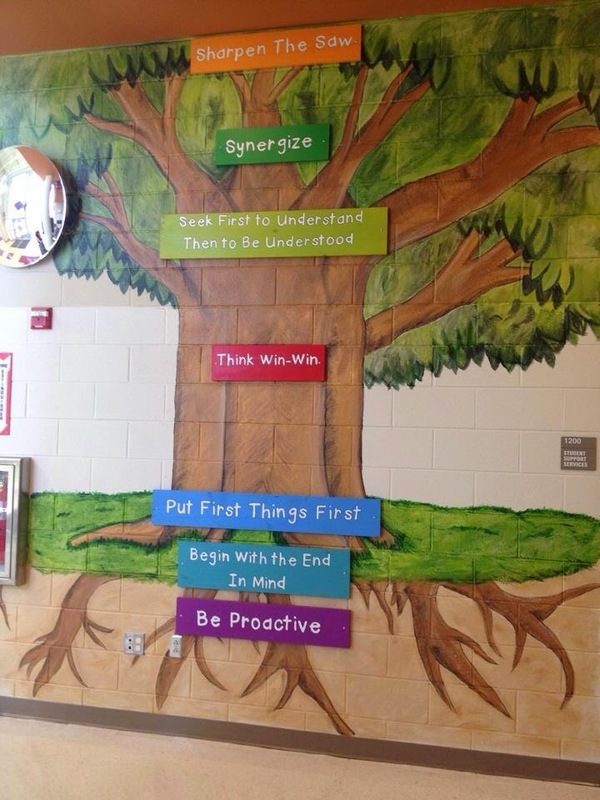 It is beautiful, welcoming and really shows visitors that we are a Leader In Me School. 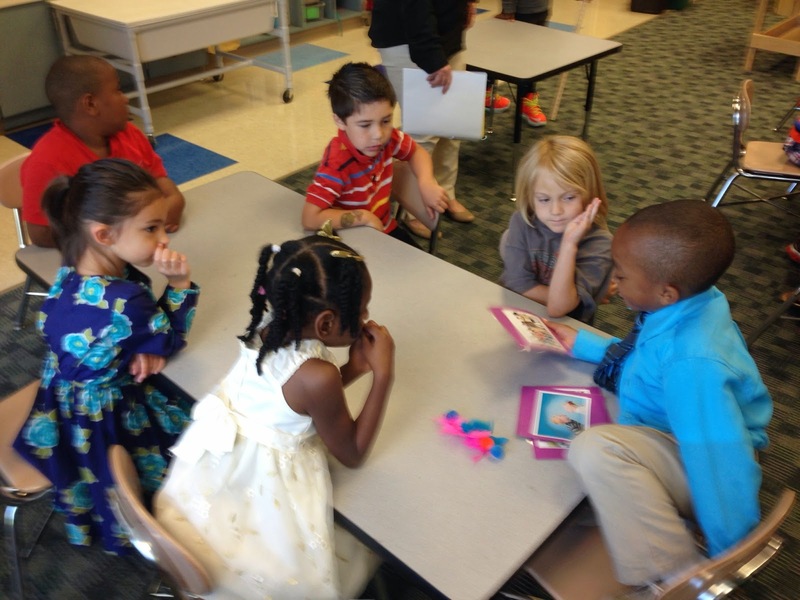 When our visitors came into our classroom we had prepared a lesson on being proactive. Here are a few videos to give you a little experience of our day! 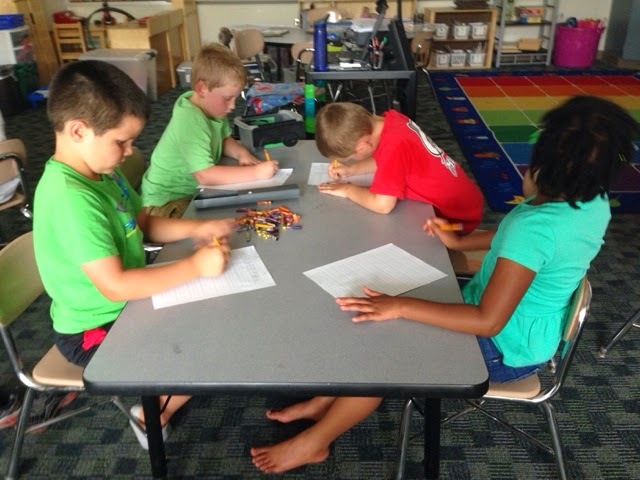 We started our day saying "I think I can, I think I can, I think I can" and our day went PERFECT! We rocked our performace for all of our very important guests! Kindergarten sang habits 1 & 2, First grade sang 3 & 4, and Second grade sang 5 & 6 and then we all came back together to sing habit 7! Here is our kinders singing to "Be Proactive" and "Begin with the end in mind". 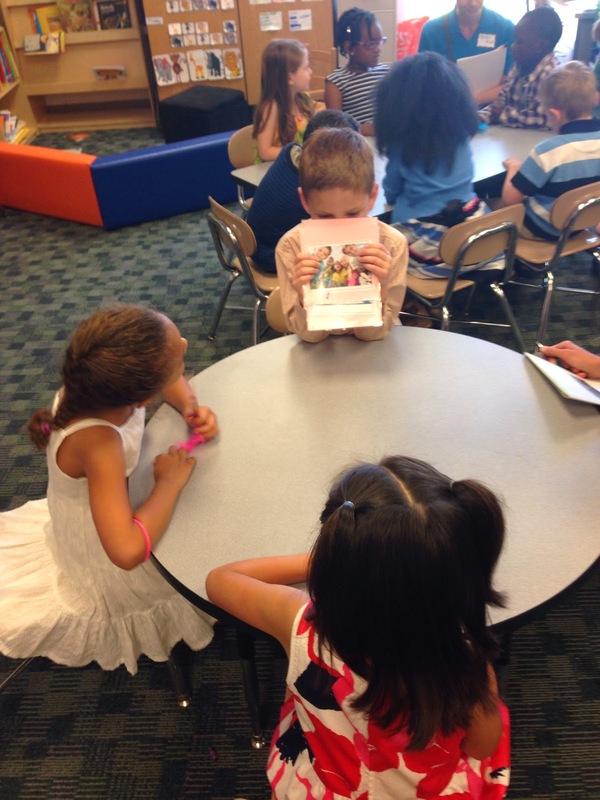 When our visitors came into our classroom we had prepared a lesson on being proactive. Here are a few videos to give you a little experience of our day! We welcomed our guests, completed our lesson, and thanked our guests for coming! Our lesson included discussion leaders, talking stick leaders and students who were engaged and discussing what it means to be proactive. 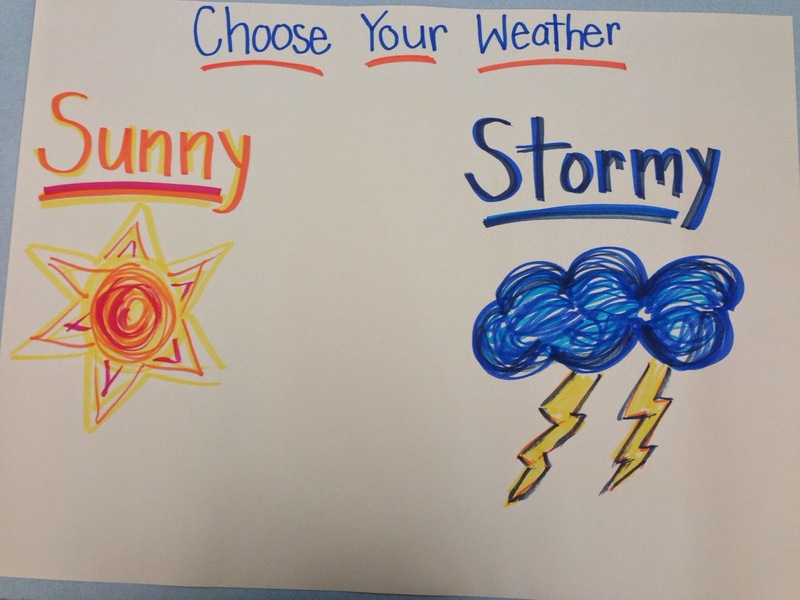 I created cards for each table to use and have a converstaion about each picture. 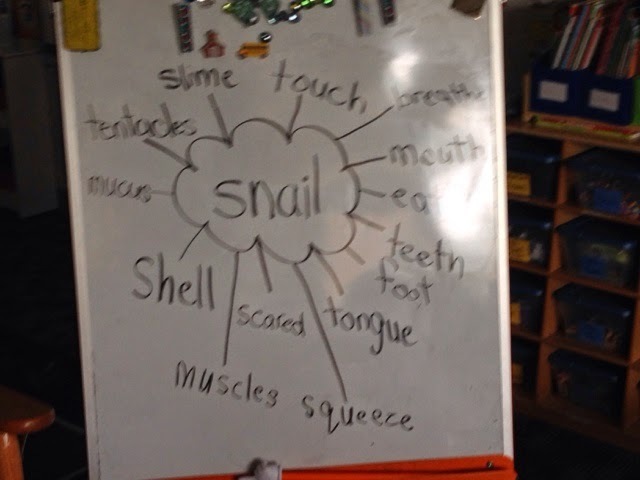 The discussion leader asked their friends the questions, "What do you see in this picture?" and "How could you be proactive in this situation?". The others at each table would answer only when the talking stick leader had given them the talking stick that they created out of a popsicle stick, feathers, and pom poms :) When the table felt as though they were done discussing one card they would put the card up on the board under either "sunny choices" or "stormy choices". Lastly, we sang a song, that I unfortunately forgot to record :( and the boys thanked our guests for coming! 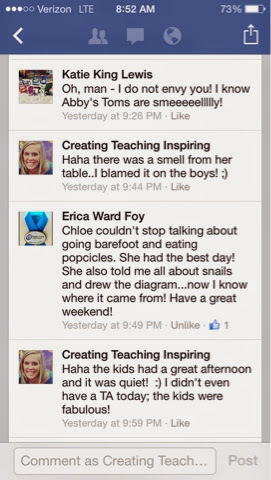 This was just a glimpse into what happened on Friday, so many wonderful things happened in our school. What a day! 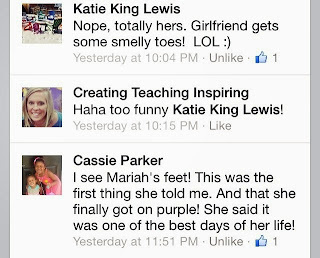 Leave comments if you have ever been a part of a Leadership Day at your school? How was it? What did your school choose to do?